NEW Mike and Brian Video…”Live at Petco Park” – November 5, 2013! 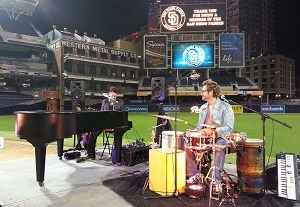 Mike and Brian LIVE at Petco Park in San Diego!! “Reception on the Diamond” – A special event for San Diego Padres Platinum Members with 600 attendees!